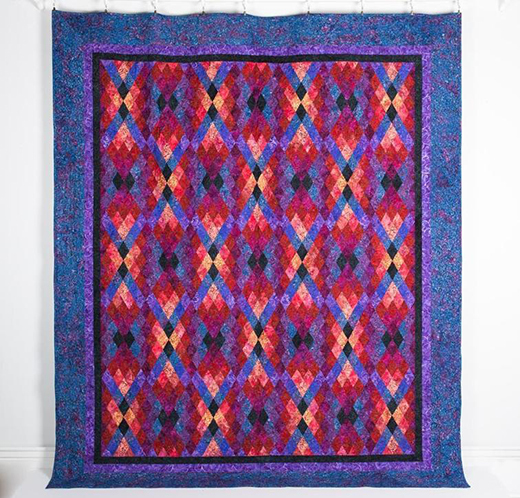 Jinny uses her saturated batiks in this gorgeous quilt with a diamond design. Time-saving techniques include rotary cutting, strip-piecing and all straight-seam sewing. The borders are mitered. The Argyll Quilt designed by Jinny Beyer, The Pattern is available for free.